Leave it to Baltimore state’s attorney Marilyn Mosby to slay courtrooms before even earning a law degree. News surfaced this week that Mosby, a major national player since she indicted the police officers of the Freddie Gray case, appeared on Judge Judy way back in 2000. And from her commanding leadership on the Freddie Gray case, you can imagine how things went down in Judge Judy’s courtroom. 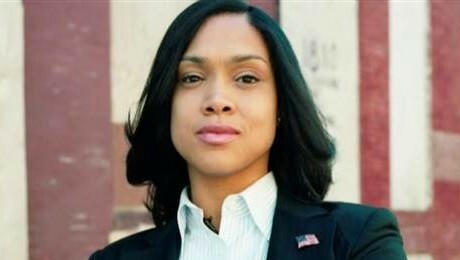 In the year 2000, Marilyn Mosby was Marilyn James, an undergraduate at Tuskegee University studying political science, who left her apartment for the summer break. She pre-payed her rent for the three months that she would be gone and had a security system for the space. But what took place in the apartment during her absence was a complete intrusion and disregard for her personal space. So what’s a future queen of the court to do? Take your case to Judge Judy and shut it down. She came armed with ample photo evidence, an iron clad story, and a composed demeanor. The defendant didn’t have a chance. I won’t spoil the whole thing (watching it all go down is poetry in motion), but by the time it is all over, Judge Judy states that she would have awarded the undergraduate even more if she had included it in her petition. May 14, 2015 What Are We Fighting For?